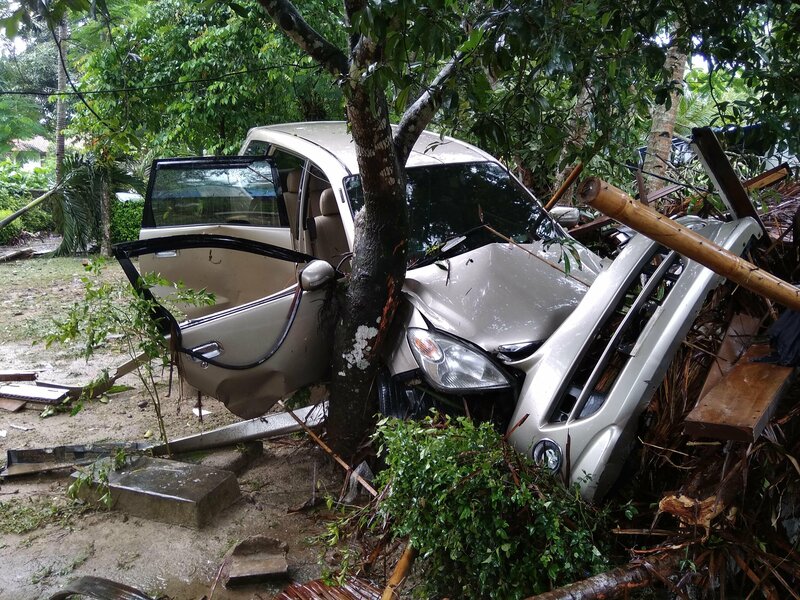 At least 222 people have been killed and 843 injured in Indonesia after a tsunami hit coastal areas along the Sunda Strait on Saturday night, according to the country’s National Agency for Disaster Management (BNPB). Doctors Without Borders/Médecins Sans Frontières (MSF) teams are currently in the affected area to provide support for local health interventions. The tsunami waves affected Pandeglang, Serang, South Lampung, and Tanggamus regencies. “Since early 2018, MSF has had an adolescent health project in Indonesia supporting the Ministry of Health in Labuan and Carita in Pandeglang district, one of the areas most severely hit by the tsunami following an eruption of Anak Krakatoa volcano late on the evening of December 22, 2018. The MSF teams in Pandeglang responded to the influx of patients on the morning of December 23 as both injured people and [dead] bodies were brought in to the health centers. With support from the MSF country coordination team, which arrived a few hours later, MSF liaised with the health center teams, prioritizing immediate needs. This is a scene from the wreckage near a beach hotel just the behind the health center in Carita, in Pandeglang district, where MSF is supporting the medical response to the tsunami disaster. As the most severe cases were being referred to bigger hospitals in the area and the deceased were being managed by local authorities, MSF supported the exhausted health workers by ensuring proper case management of injured people, infection control and hygiene standards, as well as material support. During the course of the day, more injured people and dead bodies arrived which needed immediate attention—and we expect this to continue over the next few days. An MSF midwife checks the vital signs of a patient at the health center in Labuan, Indonesia. 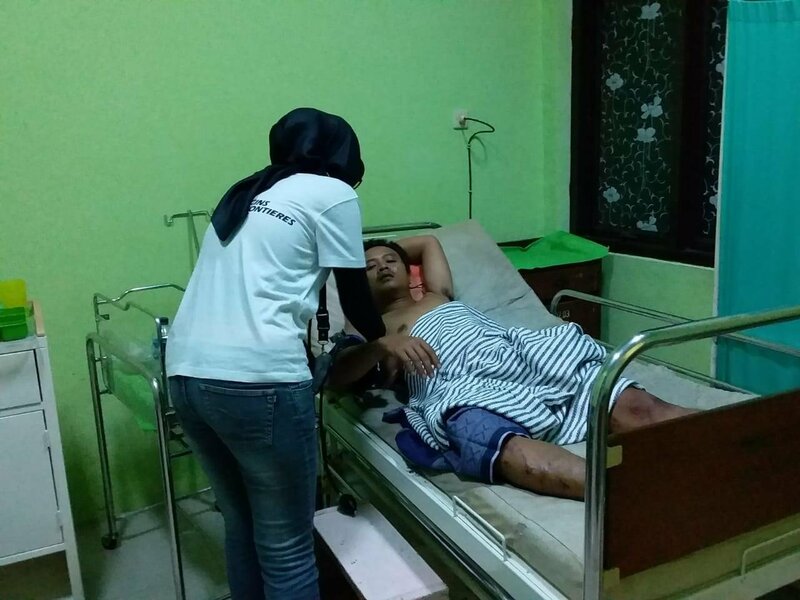 He is one of the patients being treated at the center after a tsunami hit coastal areas along the Sunda Strait on the night of December 22.